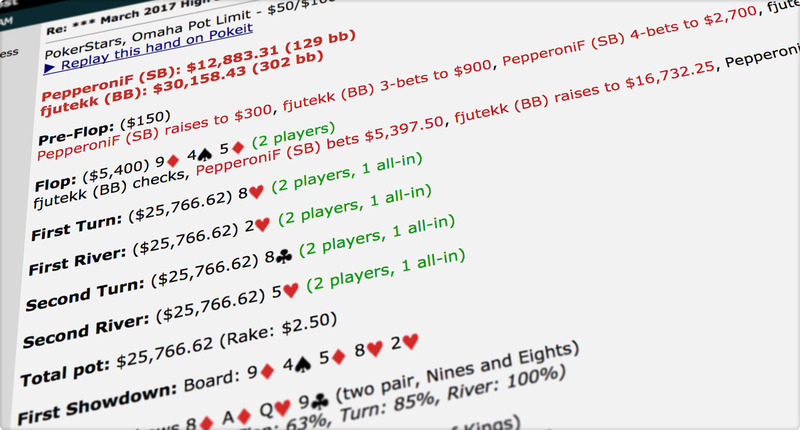 Poker players have been posting hands online since the dawn of internet poker. 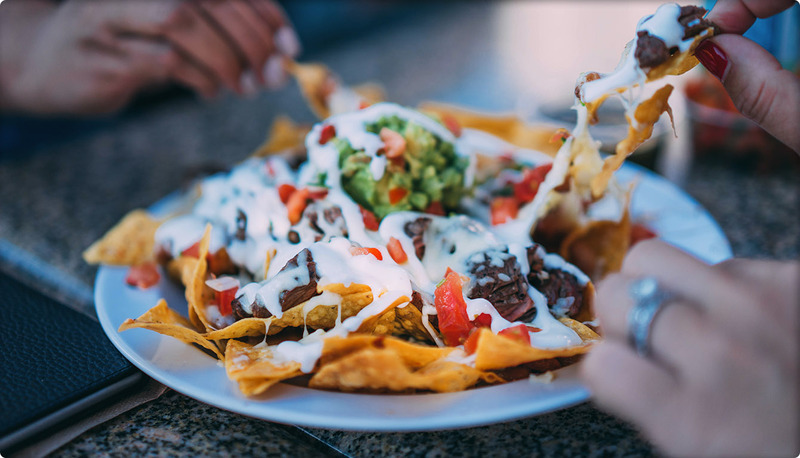 Whether it’s players looking for feedback on their game, or fans sharing big hands from the high stakes rail, much of the activity on the internet forums revolves around these posted hands. Over time, tools were developed for prettifying and condensing down the information in these raw hand histories so they’re easier to read. The Pokeit converter can return formatted text in addition to forum code and there’s also a replayer only option. Web-links are generated for hands by default but this can be toggled off if you prefer to keep your hands private. We hope you enjoy this new free tool and good luck at the tables! 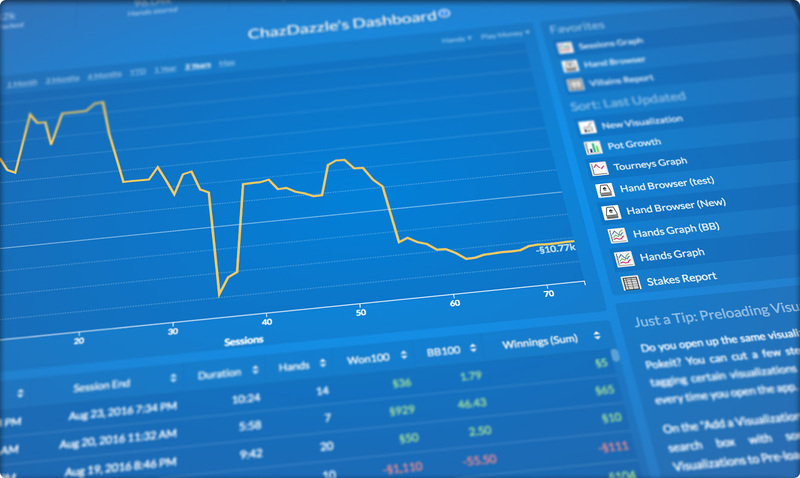 We’ve introduced two new ways for you to share your poker hands, stats, and graphs. The first, called Snapshots, lets you share a single visualization. The second, Secure Share, is for granting access to your entire database. Many of you have asked for a way to share whole reports and graphs instead of just single hands. After you finish a tournament you may want to send the hands you played to a friend or coach to help you review. With the new Snapshots feature, all you would have to do is open Hand Browser, add a filter for the tournament, and then click on the new sharing button in the top right corner of the toolbar. Other visualizations can be shared just as easily. You may not always want to share everything about your poker data when you make a snapshot, so we’ve included three privacy options for your convenience. 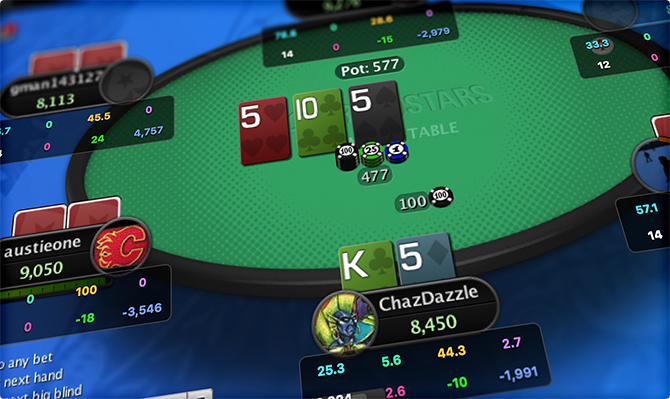 Hide Player Names obscures the player aliases at the table and replaces them with their seat number. Hide Holecards only reveals holecards if they’re shown or mucked at the end of the hand. Hide Hand Details disables the detail side panel so hand histories and the replayer cannot be seen. By default, the snapshot name will be the name of the visualization but it can be changed as you see fit. This is useful if you’ve added a filter to the visualization and want a distinct title to reflect that. Visualizations shared via Snapshots do not update when new data is added to your database. You can remove or alter the privacy options of your shared snapshots at any time by visiting the “Snapshots” section of the Account page. With other poker programs you would have to use a screen sharing application or share your own password if you wanted to show someone else your database. This can be cumbersome, time consuming and is most of all insecure. We’ve solved this problem with a new feature that lets you securely share your entire Pokeit database. We built Secure Share with coaches and backers in mind, but you can share your database with anyone as long as they are a Pokeit user. You can grant access to another user from the “Secure Share” section of the Account page and that access can be revoked by you at any time. All they have to do is accept your invitation for access and then they can switch between their own database and yours by clicking on the Account icon in the main header of the app. We’ve been fairly quiet over the past few months. Two new yet-to-be-released features are in the final stages of development. We’re really excited about what’s in store and we look forward to telling you all about these features in the coming weeks. Now, every time you login, you’ll be greeted with a dashboard snapshot of your results. 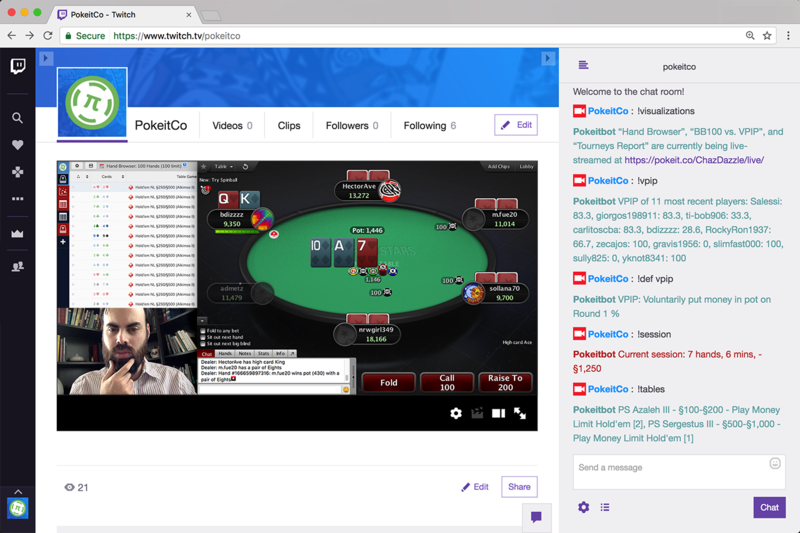 Featuring all the capabilities and power of the new Pokeit, the dashboard is graphically interactive with toggles for hands and tournaments, timeframe and currency. Filters added from the metadata menus will update your dashboard automatically. Visualizations can be loaded into the app just like before and are displayed in a widget to the right of the graph. We’ve also included a new tips & tricks box with suggestions for getting the most out of Pokeit. The new dashboard answers your most common poker questions while enabling deep dives into visualizations to answer the harder ones. We’ll be adding more capabilities to the dashboard in the coming weeks so look out for more updates like this one.